We’re so lucky, living in CA and having such an abundance of amazing, fresh produce available year round. Some items are definitely still best when purchased locally and in-season, and those are starting to make themselves available. 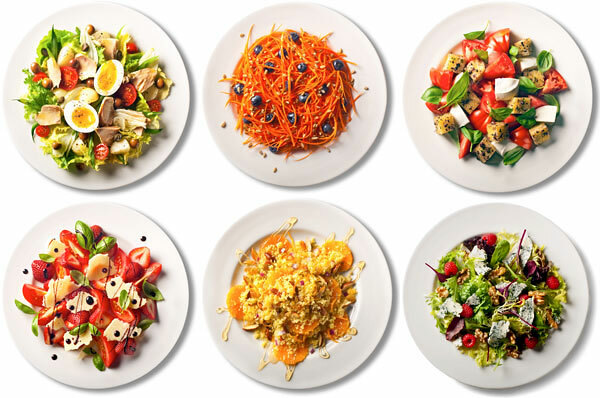 Even though it’s not summer yet, I wanted to share one of my favorite recipe sources with you – an article from the NY Times, 8 years ago, entitled 101 Simple Salads for the Season. I’ve probably made around 40 of them over the years. I’d say 35 were a full on success. 4 were fantastic after a couple tweaks to make them just the way my taste buds wanted them. That’s a pretty good success rate, and I hope you find them just as tasty. Divided into vegan, vegetarian, seafood, meat, noodles, and grains, it’s possible to find multiple options for everyone you’re feeding. It’ll get you trying new ingredients and combinations, and making the most of the bounty of produce coming available at this time of year. If you try any, please let me know!